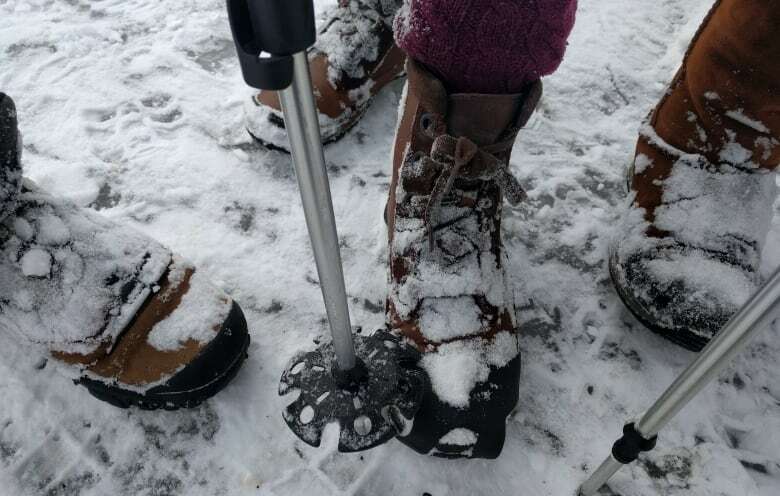 A group of intrepid seniors are taking to the streets to report on the state of Ottawa's sidewalks during the winter months. They're fed up, and they're not going to take it anymore. 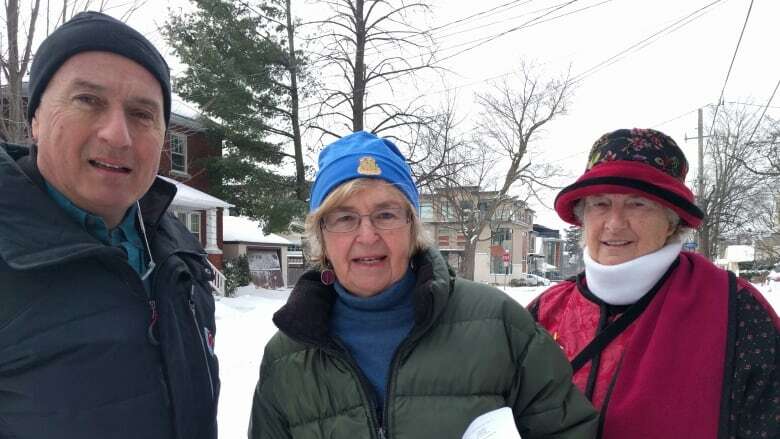 The Coalition on Aging has started an initiative called Snow Moles — recruiting seniors across Ottawa to record sidewalk conditions through the winter and to feed their data to the city. "I think we all want to improve the walkable situation in our area," said Catherine Read, one of the snow mole volunteers. "It used to be snow, only snow, and now it's this freeze-thaw cycle. So the city's got to get up to date. They say that's their reason that they can't do anything, but they've got to find ways to do something." Anna Cuylits, another snow mole, said volunteers venture out down city sidewalks and fill out forms about the conditions they encounter. The forms are then processed and the data is sent to the city. "We are looking for ice. Is it slippery, accessible, can we manage the snowbanks?" Cuylits said. "I have osteoporosis, and if something goes wrong, like breaking your hips, as I was told when it happened to me, it could mean death. "We hope that things will change. We need the city to work with us, not to give us just lip service." There are about 2,300 kilometres of sidewalk in Ottawa, slightly more than half of which are classified as "non-priority" residential. The remaining 1,080 kilometres are classified as "priority" sidewalks. Downtown, in the ByWard Market, in large employment centres and special tourism areas, the city gives itself four hours to clear snow and treat ice once precipitation ends and 2.5 centimetres have accumulated. Their goal is to leave a bare surface. In urban residential neighbourhoods, on city cycling routes, on sidewalks in villages and linking transit routes, at emergency facilities and in front of commercial or retail storefronts, the city gives itself 12 hours to clear snow and ice after five centimetres have accumulated. The aim there is to clear surfaces adjacent to arterial roads, and down to packed snow everywhere else. On sidewalks along rural and suburban collector and residential roads, and paved pathways in those areas that are maintained during the winter, the city gives itself 16 hours to handle snow and ice after five centimetres have accumulated, and aims to leave behind packed snow. From Nov. 1, 2017, to April 1, 2018, the city received 66 ServiceOttawa reports about slips on ice. From Oct. 1, 2017, to April 30, 2018, the city was sued five times for slips on sidewalks. Residential sidewalks get sand or grit, which contains about 10 to 15 per cent salt. "The levels of service are what are approved by council. Back at amalgamation, they looked at the services that the 11 different municipalities had put together and harmonized them," said Luc ​Gagné, the city's director of roads and parking services, in an interview with CBC Radio's Ottawa Morning. "I can tell you that many of the former municipalities had very, very similar standards to what we currently have today. They really haven't changed." 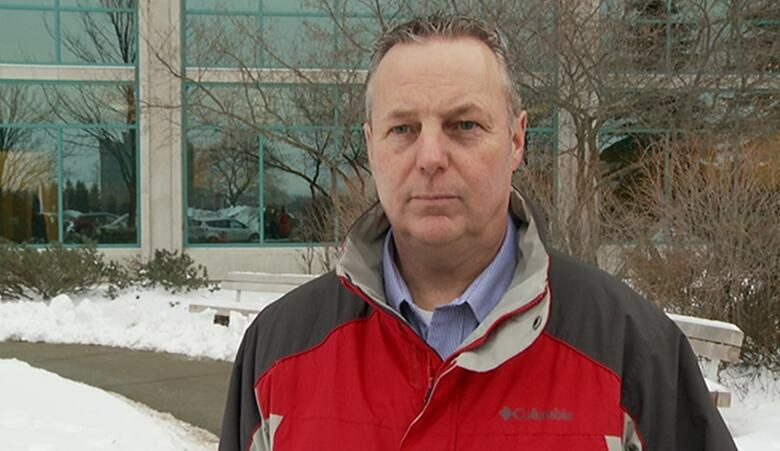 Gagné​ said the city "really appreciates" the volunteer effort by the snow moles. "Everybody would like Cadillac standards, obviously, and that comes at a cost. But that's going to be an opportunity that we'll be able to talk to the committee and council, this new term of council, and see if that's the direction they would like to go," he added. "The important thing is the Council on Aging and the groups that are doing audits continue to do that work, continue to put their reports together, continue to have those discussions with their local councillors and committee chairs, to continue to advance the issues that they're having in their communities and neighbourhoods." Looking to become a snow mole yourself? Here's their website.